Dr Ian Stewart qualified at St Andrews University in 1968. He was appointed as consultant rheumatologist in Blackpool in 1977. 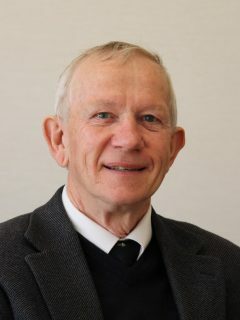 He retired from full-time clinical practice in 2004, but continued working part-time in special interests of osteoporosis and neurophysiology until 2009. Other non-clinical roles included postgraduate medical tutor at Blackpool Victoria Hospital, clinical director in medicine and medical director of Blackpool, Wyre and Fylde Community Health Services NHS Trust.